Deposits that are over AU$150 will receive a bonus of 350% + 50 free spins. 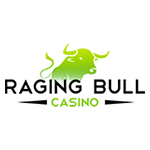 Raging Bull online casino is all the rage for Australian gamblers. Powered by Realtime Gaming, a world-leading casino online software provider, this online gambling site is a force to be reckoned with. Players get to access Raging Bull in both instant-play and downloadable formats. Find out more on what this exciting casino has in store for Aussie players below. These are just some of the popular pokie reels that you get to spin at Raging Bull. High Rollers and get to indulge in progressive jackpots. So, no matter your bankroll, you are covered at this prestigious gambling site. If you are an existing member at Raging Bull, don’t worry as there are daily promotions available for regular players. Just be sure to visit their promotions page to see what is on offer for the day, as well as to get your hands on the bonus codes that you’ll need to use. Please note that the withdrawal limit from this specific casino is capped at AU$2500 per week. What makes this casino so great is that you can play it on the move, on your mobile device. This means that no matter where you are you can simply log in to your smartphone or tablet and get playing. The only thing is, your device will need to have HTML5 support. One of the most important aspects when considering where to gamble online is safety. That is why we at Pokies.com can safeguard that this casino online protects player information by using the 128-bit SSL encryption. More so, this casino online is licensed by the Curacao government and has been further tested and audited for fairness by TST. TST is a fully independent casino auditing firm. The friendly support team at this online casino is available to cater to your needs 24/7. Players have access to the support team on Live Chat, Email and Toll-Free phone. So, whatever your query may be, the friendly team at Raging Bull will be there to help you. Overall, Raging Bull has a lot to offer Aussie gamblers. With a great gaming variety, mobile option and top-notch safety, players really are spoilt at this casino. For these reasons, we at Pokies.com rate it a well deserving four out of five stars.